During the OABPF9 Forum in Luang Prabang, I was happy to have the chance to meet Patti Rundall, one of the founders of Baby Milk Action and primemovers in IBFAN. Her talk focused on the new marketing strategies being used by formula milk companies to promote their products. My main takeaway from her talk however was how breastfeeding advocates are concerned not only with breastfed infants but also with formula fed infants as well. 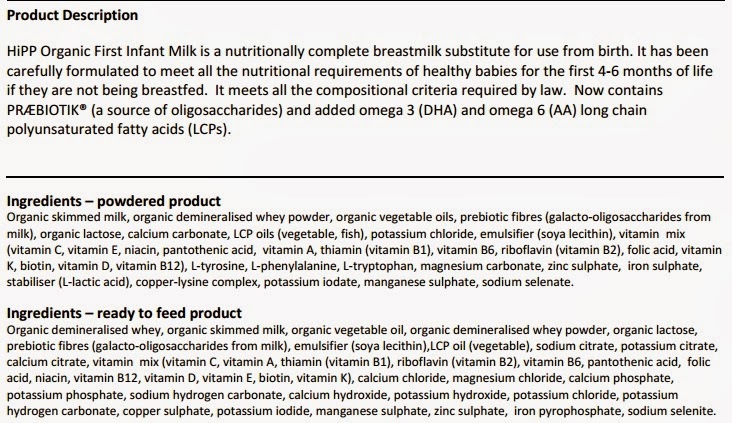 Most especially with formula fed infants - breastfeeding advocates are focused that these babies' consumer rights to a safe product is at all times met. 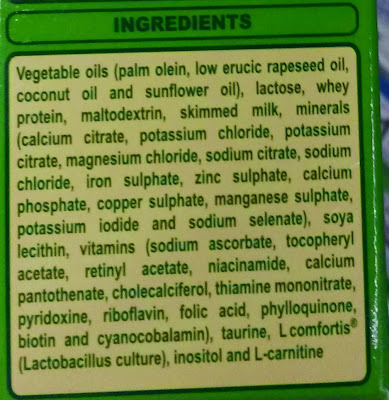 I realize that despite the "stringent" consumer standards of formula milk companies, there are many consumer issues that they conveniently do not focus on. Let's go to the preparation of infant formula. 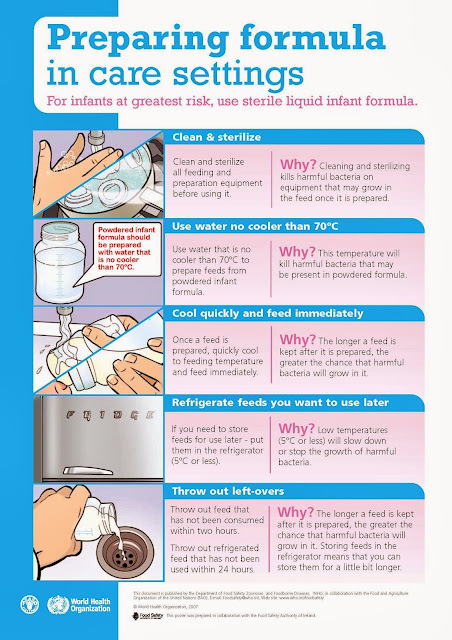 Because infant milk formula powder is not a sterile product, the World Health Organization released a guide on preparing it safely. Illnesses linked to powdered infant formula In some outbreak investigations, Cronobacter bacteria were found in powdered infant formula that had been contaminated in the factory. In other cases, Cronobacter bacteria might have contaminated the powdered infant formula after it was opened at home or elsewhere during preparation. Since the bacteria live in the environment, it's likely there have been other sources of this rare disease. Powdered infant formula is not sterile Manufacturers report that, using current methods, it is not possible to eliminate all germs from powdered infant formula in the factory. Powdered infant formula can also be contaminated after the containers are opened. Very young infants, infants born prematurely, and infants with weakened immune systems are at the highest risk. However, despite these minimum guidelines, our local formula milk manufacturers fail to apprise the consumers of the proper way to prepare the powdered infant formula to minimize contamination. I do believe that this was done on purpose. 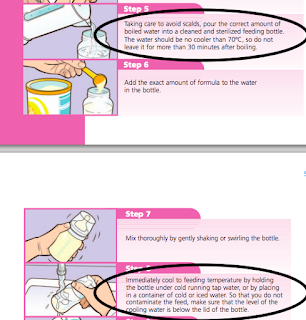 Imagine how inconvenient it will be to prepare infant formula with suce precise water temperature requirement? 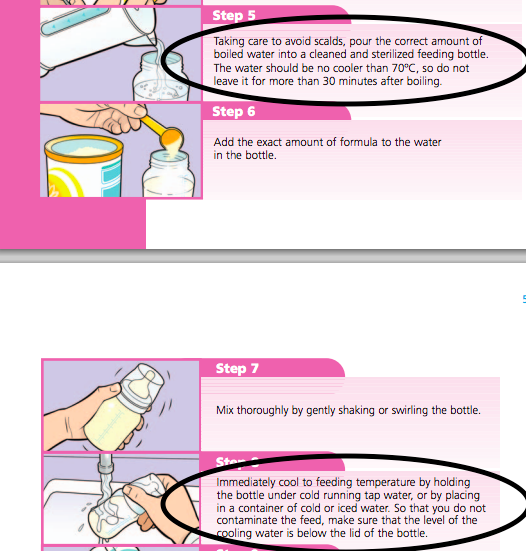 So to further promote the "convenience" of formula use, manufacturers override safety procedures. 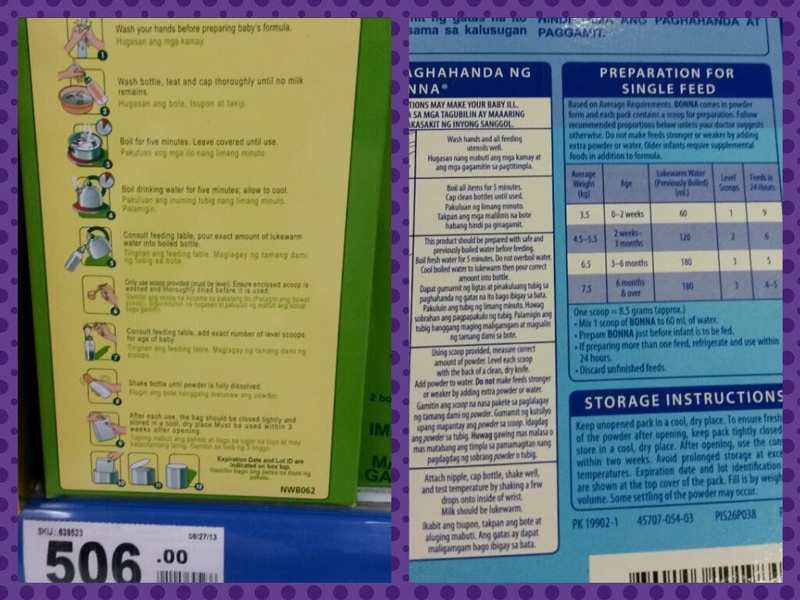 Next, have you every thought of looking that the labels of powdered infant formula milk? Synthetic nutrients. There are several synthetic nutrients that you will find in organic formulas, none of which is legal in the European Union (for organic formulas). 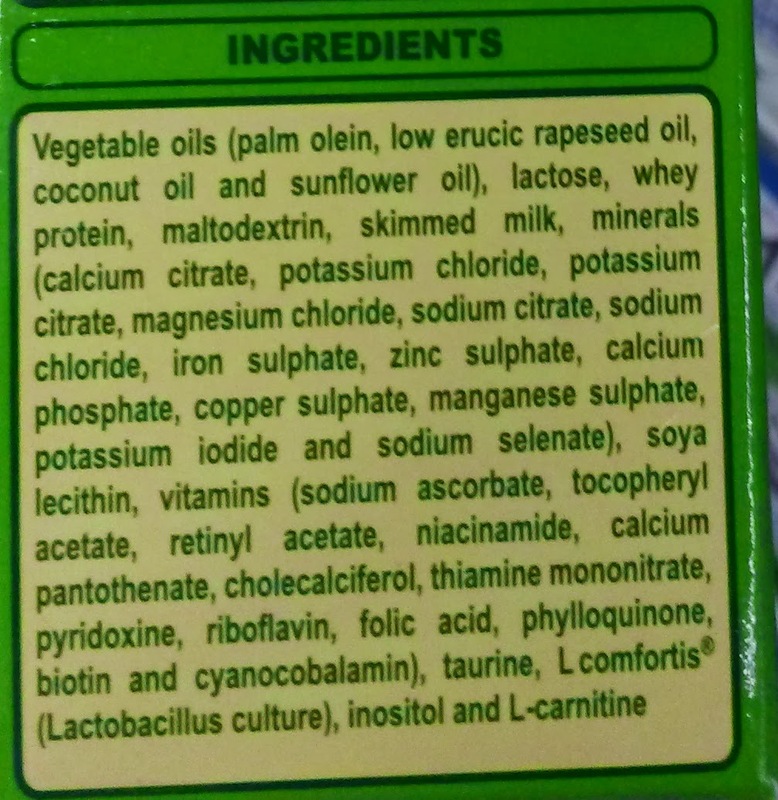 Look out for lutein (hexane-extracted from marigolds), lycopene (produced with toluene, a neurotoxic benzene derivative), nucleotides (produced from chemically treated yeast), taurine (processed with carcinogenic sulfuric acid), and l-carnitine (which was banned by the National Organic Standards Board because of concerns over carcinogenic properties). Unfortunately, even the formula we recommend below (the lone Good Stuff in this category!) does contain some of these synthetics in order to meet FDA nutrition requirements. Even the highly promoted DHA/ARA is not without controversy. 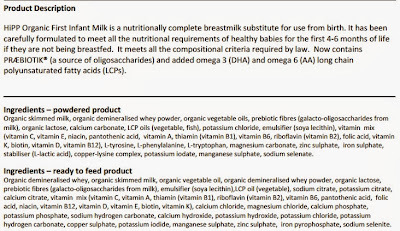 As explained in this report, there are a lot of serious questions that remain in the addition of DHA/ARA in powdered infant formula - from the benefits to the long term effects. When I posted this on my Facebook page, people commented how it would be impossible that there would be these added ingredients and how the photo owner was just out to get money. 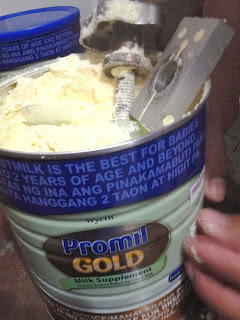 Let me ask you, has there been any instance of a settlement in the Philippines on faulty consumer products? None. And why would the photo owner waste her money and put in those dirty items inside a usable milk product? Yes, these products are machine weighed but again, machines are known to fail right? If machines are perfect, how would you explain the dozens and dozens of powdered milk recalls worldwide? If you give your baby powdered milk powder, be aware and call on these manufacturers to follow the minimum guidelines. Assert your baby's rights - just because a baby cannot complain doesn't mean that he/she is not entitled to a good quality product. Protect your baby's rights. Start with the preparation instructions being provided by Philippine manufacturers - call them out and tell them to correct their instructions. Breastfeeding advocates are not just out to protect the rights of breastfed infants but most especially of the formula fed infants who are more vulnerable. Snuggle Wuggle Wee is launching this weekend!